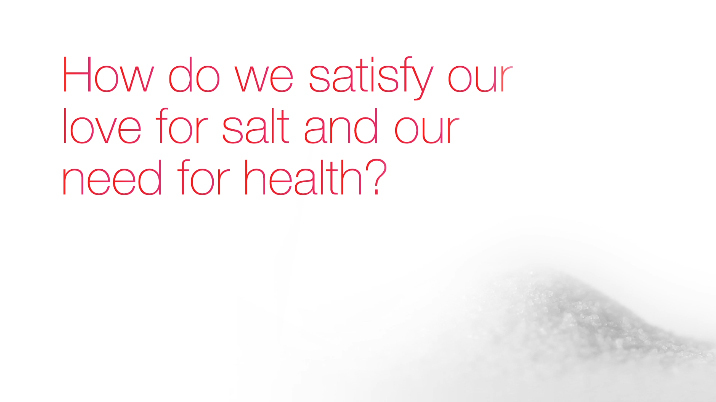 Salt is something we know a lot about. In fact, our expertise with all forms of what is one of the most basic compounds goes back nearly 100 years. So when questions started being asked about healthy daily limits for human salt consumption, our Functional Chemicals organization’s Salt Specialties business started to investigate. Their aim was to develop a low sodium product suitable for use by the food industry. After researching various solutions, our scientists have developed the patent-pending OneGrain technology. Just in time too, because it’s widely accepted that adults shouldn’t consume more than six grams of salt a day in order to limit sodium intake. In fact, authorities in many countries are increasing pressure to reduce salt consumption, so manufacturers need solutions. OneGrain incorporates multiple salt replacement ingredients into a single grain of salt. The result is a product we’ve called Suprasel Loso OneGrain, a great tasting like-for-like salt replacement which contains up to 50 percent less sodium. It grains like traditional salt and can be used and stored in exactly the same way. It also makes foods healthier without compromising on taste, which is crucial because food producers don’t want to risk losing customers as they reduce sodium. Several food manufacturers are already using Suprasel Loso OneGrain in their products and it could eventually be launched onto the retail market.